Patrick J. McNair, M.D. is a board-certified orthopedic surgeon and is a member of the Clear Creek Valley Medical Society and the Colorado Medical Society. He received his undergraduate degree from Santa Clara University and attended medical school at Saint Louis University. He completed his internship and residency at the University of Washington in Seattle, Washington. 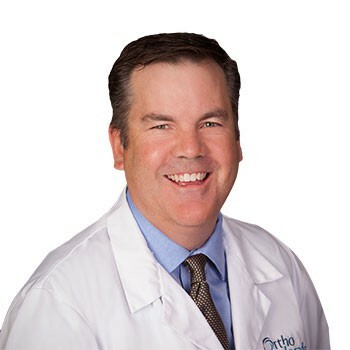 Dr. McNair completed a fellowship in orthopedic trauma at Harborview Medical Center (Seattle, WA) and a fellowship in orthopedic sports medicine at the Palo Alto Medical Clinic (Sunnyvale, CA). Mike grew up in Boise Idaho. He attended Boise State University and received a BS before continuing to PA school at Cornell University. He specializes in sports medicine and works with many of the sports medicine doctors at Panorama. Most often he works with Dr. Gottlob and Dr. McNair. Mike enjoys mountain biking, skiing, weight lifting, music and spending time with friends and family.